Australia, 1946: 650 brides are departing for England to meet the men they married in wartime. But instead of the luxury liner they were expecting, they find themselves aboard an aircraft carrier, alongside a thousand men. 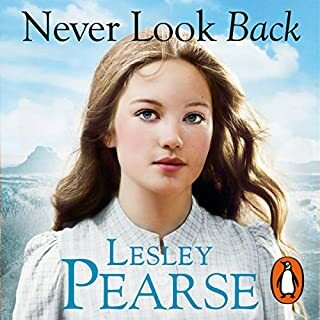 Could sometimes be confusing to follow but the story wss very interesting and the narrator awesome. I loved the story line and the narrator was great. I went to bed each night with my earphones in so that I could keep on listening throughout the night. incredible narration of a fantastic plot. the best book I have ever listened too. usually I listen to books when I am on a road trip. I made extra time specially to listen to this book. 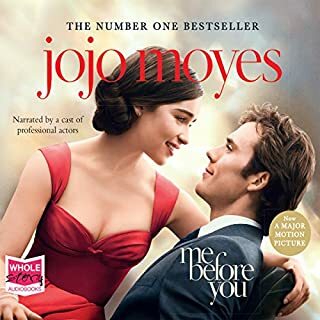 I’ve read lots of Jojo Moyes and love her work. This one was good but not her best. I think there were a few too many characters so it took me a bit to get them all straight in my head. But it was an interesting story and was resolved well in the end. 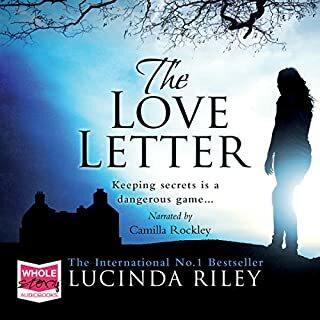 Nicolette McKenzie brings the characters of this amazing story to life, her narration of each character so realistic the reader feels the sadnes, joys and fears of each one. 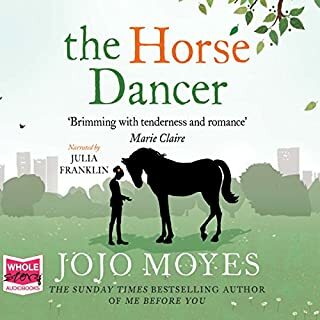 I was even starting to dread what I thought might be the outcome of this story, so cleverly does Jojo Moynes weave her tale. Loved it! 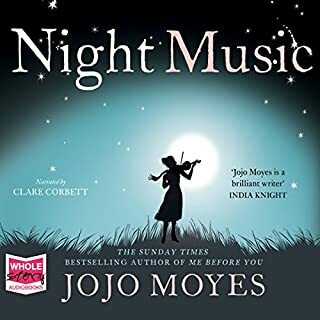 I loved this book and couldn’t stop listening! 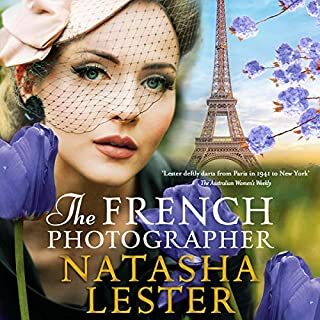 I loved the intricacies of many of the characters and the ending was also wonderful! 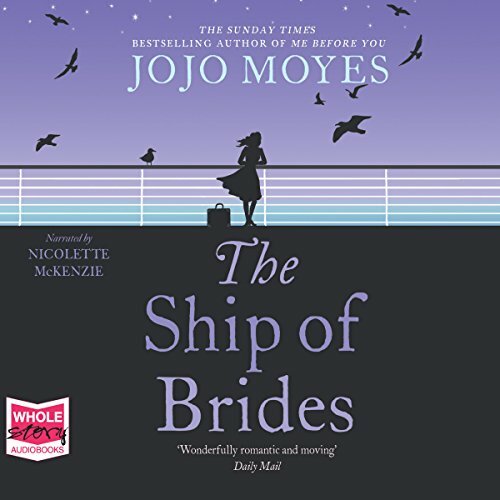 Where does The Ship of Brides rank among all the audiobooks you’ve listened to so far? One of my favourites. Listened to it driving up an down the east coast of australia while on holidays and couldn't wait to get back in the car to keep listening. Hearing the stories of each character. Almost relaable in that I could imagine myself in any one of these girls shoes all those years ago. I couldn't really pick one, but anything between Nichol and Frances always had me listening just a little bit closer. 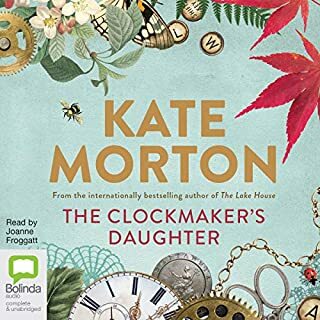 Excellent narrator who moved between characters and accents with ease. Perfectly told. 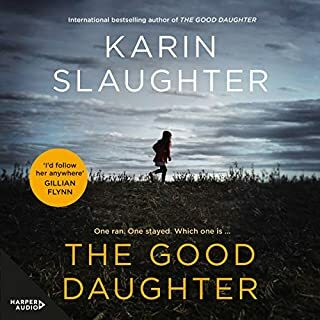 It was really hard to get into this book for the first half, which spent a lot of time getting to know all the characters, but the second half saw much more emotion, storyline, drama. Strong finish. 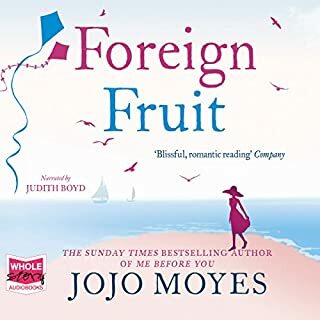 I love most of Jojo Moyes books , and as I am in my eighties, expected to be riveted, but found it difficult to get really into it. The story, historically is fascinating, and simply amazing but the characters didn't grip me. I don't know why. A faultlessly told, touching story. For days, Ive been putting off finishing this book because I just didnt want it to end. I didn't want to lose touch with an excellent array of characters. The story and the way it was developed and plotted, was compelling and the reader gave a distinct and fitting sense to every voice. I felt the emotion underpinning each character. That's something that thus author achieves: subsiduary characters have the same depth and sense of a 'backstory ' as the principles, and you really care about the fate that befalls them all. I'd heartily recommend this book in every respect. 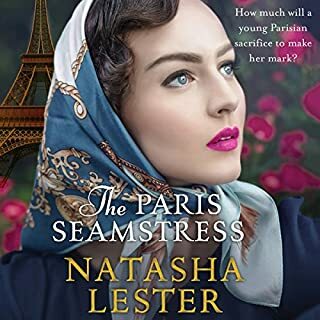 I dont think I've ever given a book 5 stars across the board, but this was a truly excellent l7sten. I can unreservedly recommend The Ship Of Brides. As good as it gets in my opinion. 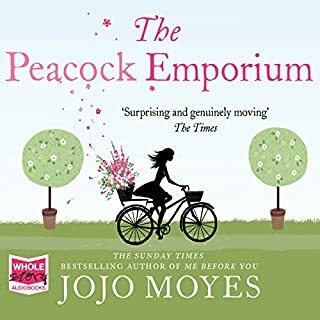 A really interesting and absorbing story ( as always with JoJo Moyes) and the narrator was amazing. I didn’t want it to end, though I was desperate to hear what happened! Fabulous! Lovely, lovely story - gentle, but quite un-put-downable. The narration was SUPERB!!!! Regional accents, dialects, male, female all completely and instantly recognisable. This is what made a great listen a superb one! It's a slowly evolving story that kept me listening. I agree with others that the story it is slow, but this gives one time to get to know the fictitious characters. 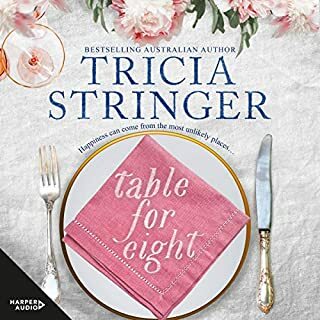 The story is a mix of actual events in the immediate post WW2 period when young Australian brides of British servicemen were transported by sea to the UK in an epic 6 week journey on an aircraft carrier. 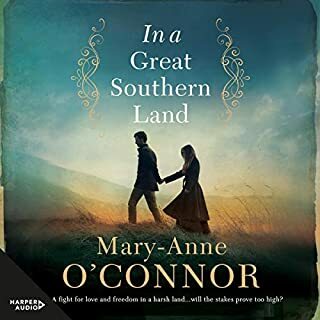 The story is full of the kind of emotions that these young women must have experienced: would they still love the man they'd married in haste; how would they cope with a new country and would they miss their family back home? I enjoyed this long book and thought the narrator excellent. 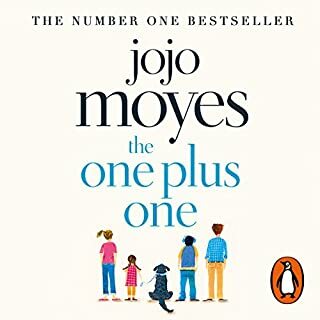 I love Jojo Moyes’s books, and this one was ok. Took a bit to get into it. Good story if a bit waffley. If your looking for a easy read that doesn’t take much concentration this book will do. If you’re new to Jojo’s books I would start with another one. 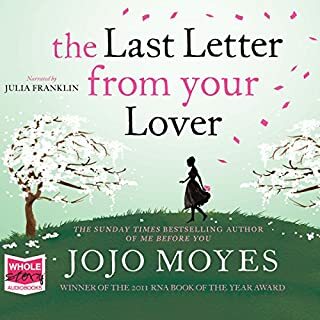 “Last letter from your lover” was brilliant! This was ok. I found this book quite hard to get into and didn’t like the narrator at all at first which was off putting. However, once the book got going, so did the narration with great and varied voices. 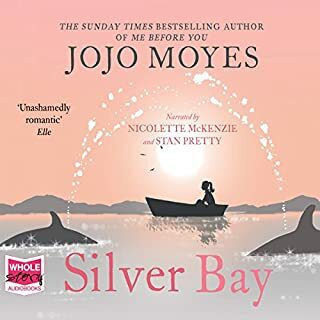 Had me riveted by the end and sad to have just finished it! 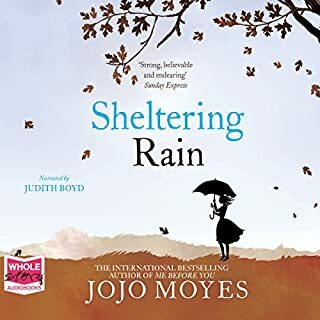 As per all of her books, Jojo Moyes has nailed it, again, with ship of brides. Such a good story which had me addicted! 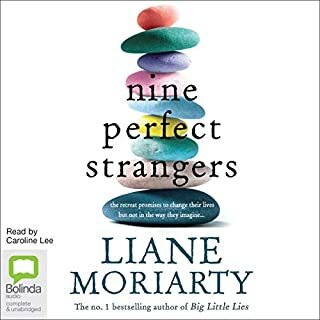 The narrator absolutely amazed me also though, bringing the story to life, with each and every person having their own identity. You can tell exactly who is talking, before their names are even mentioned.